Need a hand with home repairs? 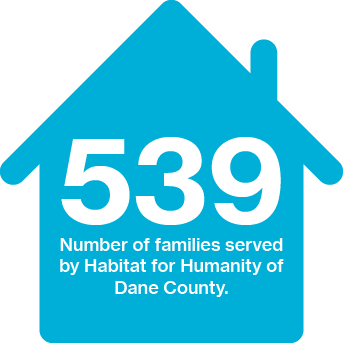 Habitat’s Home Repair Program offers low-cost interior and exterior home repairs and renovations to income-qualified homeowners throughout Dane County. Habitat volunteers, overseen by trained professionals, complete the needed work, while Habitat provides an affordable loan to help homeowners afford the repairs. Stay up to date on all of the latest Habitat happenings. Sign up with your email now to receive our newsletters. 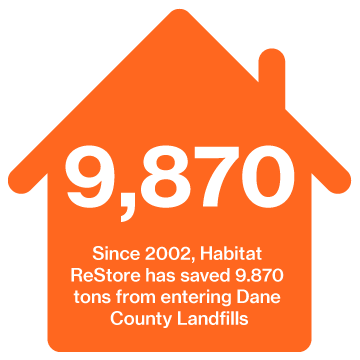 By submitting this form, you are consenting to receive marketing emails from: Habitat for Humanity of Dane County, 3101 Latham Drive, Madison, WI, 53713, US, http://www.habitatdane.org. You can revoke your consent to receive emails at any time by using the SafeUnsubscribe® link, found at the bottom of every email. Emails are serviced by Constant Contact. Hear how volunteers from the local Navy Recruiting Station helped a 92-year-old homeowner paint her home through the Habitat Home Repair Program. Habitat is proud to host a number of events to educate the community about our goal of improving the lives of families through homes, community and hope. Hear about the lasting impact home ownership has had on our family partners, and learn more about the many ways you can get involved. 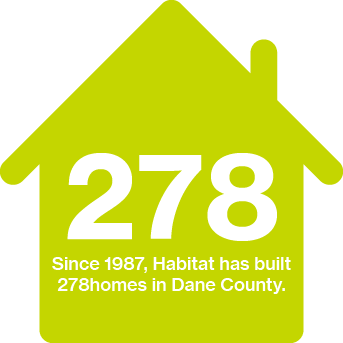 We’re 275+ Habitat Homes & Counting! Click on our interactive map to see where we’ve built and where we’re currently building in Dane County.